Palm Court Bed & Breakfast was originally a large family home until it was converted into a B&B in 2009. It is in a very quiet area of Somerset East and close to all shops, restaurants and other facilities. It boasts a very good view of the Boschberg Mountain. The B&B has four bedrooms and two self-catering flats. There is a lounge, a dining room, a TV room and two separate braai areas which have access to a large swimming pool. There is a nursery, a tea garden, a gift shop and a playground adjacent to the house which can be accessed from the pool area behind the house. Late sleepers and self-catering guests will find the tea garden useful as light meals are available from 10 am until 4 pm. Bed and breakfast guests have the option of having breakfast at the tea garden if they wish. 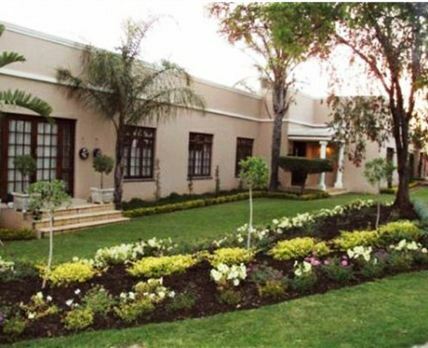 Click here to enquire at Palm Court Bed & Breakfast.